Before beginning his appointment as Dean at UCLA Luskin in January 2017, professor Segura served as the Morris M. Doyle Centennial Professor of Public Policy, professor of political science, and professor and former chair of Chicana/o-Latina/o studies at Stanford University. A member of the Stanford faculty since 2008, he was a faculty affiliate of African and African American studies; American studies; feminist, gender and sexuality studies; Latin American studies; and urban studies. In addition, he was the director of the Center for American Democracy and the director of the Institute on the Politics of Inequality, Race and Ethnicity at Stanford. In 2010, Professor Segura was elected as a fellow of the American Academy of Arts and Sciences. Prior to joining Stanford, he was a member of the faculty at the University of Washington (2005-08), the University of Iowa (2001-05), Claremont Graduate University (1996-2001) and the University of California, Davis (1991-96). 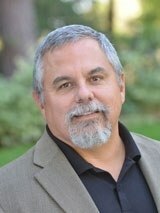 Active in professional service, he has served on numerous committees and editorial boards, and he is a past president of the Western Political Science Association, Midwest Political Science Association and Latino Caucus in Political Science. From 2009 to 2015, he was the co-principal investigator of the American National Election Studies. Moreover, he has briefed members of Congress and senior administration officials on issues related to Latinos, served as an expert witness in three marriage equality cases heard by the Supreme Court, and has filed amicus curiae briefs on subjects as diverse as voting rights, marriage equality and affirmative action.